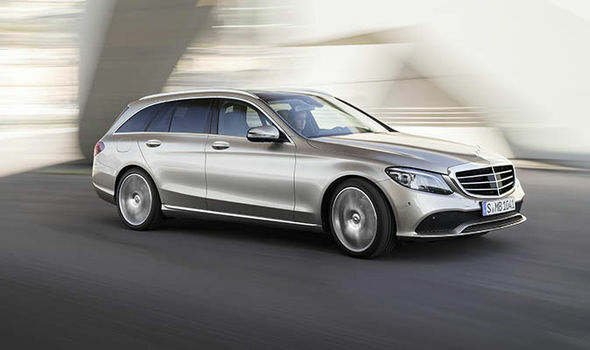 Mercedes-Benz has revealed the 2018 C-Class saloon and estate car in the UK. 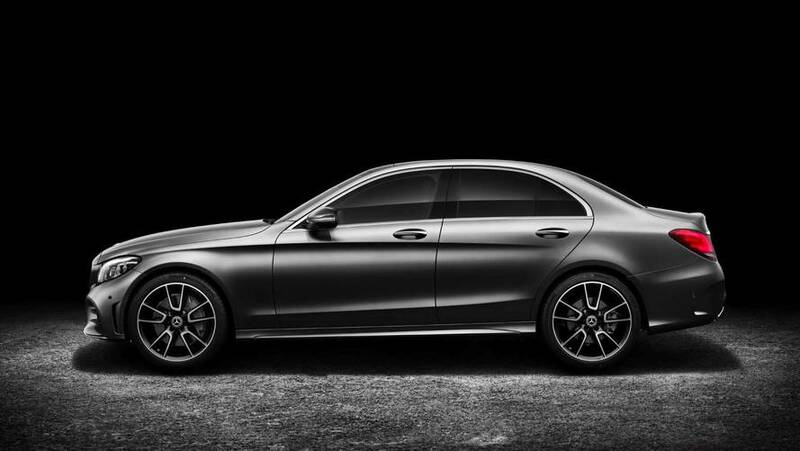 As one of the UK’s best-selling cars, the C-Class has become somewhat of an icon in the UK. The German carmaker’s 2018 model has been revised ahead of it going on sale later this year. Many of these changes are evolutionary including the design but it does get a range of upgraded technology and connectivity features. Certain exterior design upgrades have also been made which included updated bumpers and new headlights and tail-lights. At the front new LED daytime running lights have also been introduced. Inside the car has also received a few updates, however, the car does not received the new MBUX interior cabin design. Instead a floating touchscreen which can range in size from seven-inches to 10.25-inches. Being the driver there are two options for the cockpit these are a more conventional instrument cluster with a 5.5-inch screen flanked by two dials or a 12.3-inch fully digital display. A touch-sensitive pad on the steering wheel can be used to control certain functions of the infotainment screen. 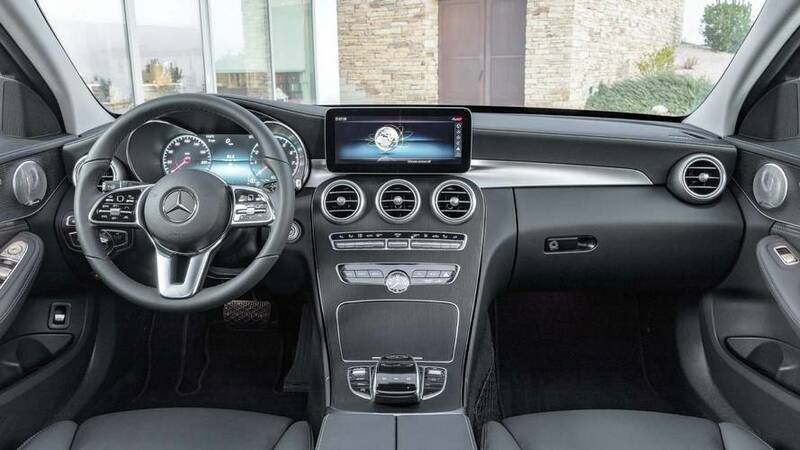 Mercedes has introduced an Energising comfort control system which makes use of the climate control which includes the car conditioning and scents, seat heating, ventilation massage functions. The system is supposed to improve the wellbeing of the driver and will also utilise the lighting and the music. A number of driver assistance systems come with the car as standard and as options to improve the overall safety of the car. The C-Class is able to drive semi-autonomously in certain situations, due to improvements in the camera and radar systems. Active Distance Assist DISTRONIC as part of the Driving Assistance package is able to support the driver in numerous situations on the basis of map information and predictively adjust the speed e.g. when approaching bends, junctions or roundabouts. Other new developments include Active Lane Change Assist and Active Emergency Stop Assist as new functions of Active Steering Assist. The new C-Class also comes with extended Active Brake Assist as standard. Powertrain options for the car have not yet been confirmed but accordion to Autocar, two hybrid variants will be added to the range. A digital instrument cluster and enhanced driver assists are among the highlights. My rep says it will be in SG in the third quarter.. This C class is just facelift lah, not new model. I thought they just facelift last year with the new 9spd auto. Always felt that Merc estate car don't look nice. Edited by Tohto, 17 February 2018 - 11:35 AM. The steering wheel looks like copied from the new A class version. Next generation interior design must have this 'tablet on dashboard'? Bmw has it, new K-car models from Hyundai and Kia have it. Any 2018/9 model J-car have this tablet? How good are the deals and lobangs in terms of price now? The steering wheel looks like copied from the new s class. Merc tends to allow the various lines to share parts, it lowers manufacturing costs. So the lower end models benefit..
eg, the current steering wheel is shared by models going from the entry level MFA cars like the A class all the way to the E class. Likewise they all use the same mirrors. The new C will probably have the same wing mirrors as the E Class. Honda, Mazda are using them. Anyway, the new C180 facelift would still be stuck with the analogue gauges with 5.5 inch display, together with the 7 inch dash display. The interior FL pics depict so many options lol. This is disappointing. How can the lower class and cheaper A class have a complete interior redesign that’s more modern that it’s more expensive and atas C class model??? As a person who would never consider a class, this is major wtf? I pay more money for old tech? This is disappointing. How can the lower class and cheaper A class have a complete interior redesign thatâs more modern that itâs more expensive and atas C class model??? 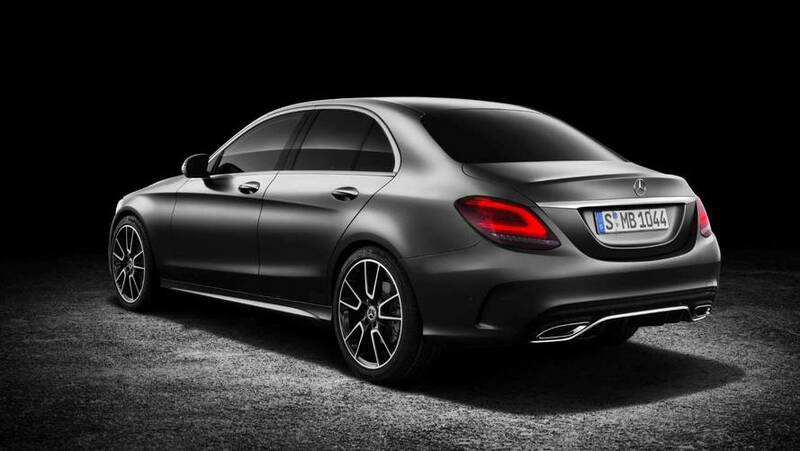 The a class is a completely new model whereas the c class is just a facelift. Carmakers usually new tech into lower end cars to try out its reliability and also to attract younger customers into the brand. Edited by camrysfe, 24 February 2018 - 08:54 AM. How can A45 be lower class than C180? Put S class in photocopier and press reduce button. I think they copy Audi philosophy. I love the S class design so love this smaller version too. I’m comparing base a class with base c class. There is still a need for regular dials. It may be the car design and badge that draws the buyers. W177 is starting production this year. How to compare designs from diff Era? We as customers, don’t give a rats arse about which production year daimler is in for each of its product lines. They should apply the same treatment to their higher quality products.